The 3rd Killamarsh Scout Group Committee in 1959. See note below. Can you give more names. Photo courtesy of Mr N Collins. Second from the right are my grandparents Muriel Nicholls (nee Ward) and Percy Nicholls stood behind her. Second from left Winniefred Shaw and standing next to Mr Nichols Eric Shaw. My mother and Father. My father was Group Scoutmaster at the time I believe. 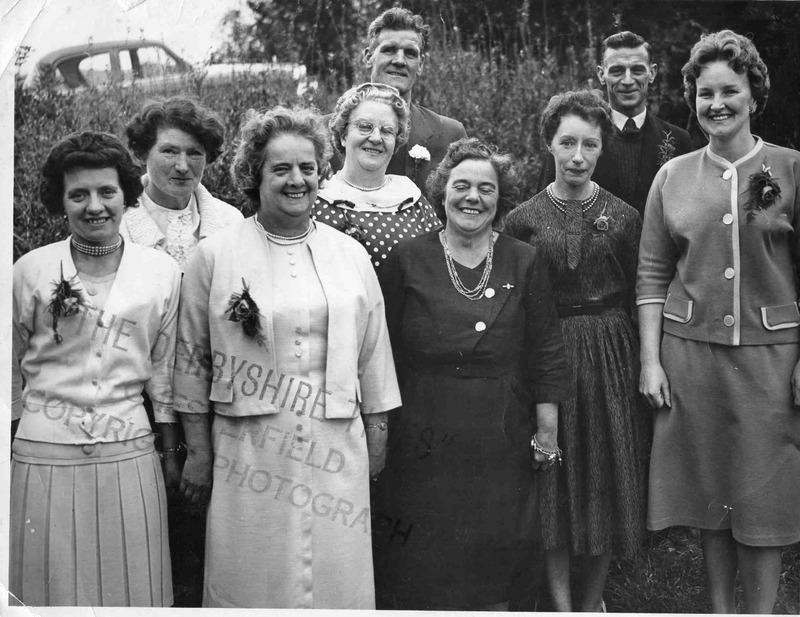 Unknown, Unknown, Mrs Fleet, Mrs South, Unknown, Mrs Dorothy Collins, Mrs Nicholls, Mr Nicholls, Mrs Eunice Walker.